Searching for tips or new methods in biology education? Check out our “bioCEED for educators” section. The presentation will be streamed. To watch it click here. Sehoya Cotner is Associate professor in Biology teaching and learning at the University of Minnesota and a Professor II in bioCEED. Currently she is mapping the teaching landscape at UIB and UNIS by using the method Classroom Observation Protocol for Undergraduate STEM (COPUS) applyed to video captured lectures to score behaviors consistently and objectively. In this presentation, Sehoya will give an overview of the benefits of scientific research experiences during a student’s academic career, discuss CUREs as an efficient and effective mechanism for incorporating meaningful research into the curriculum, give examples, and end with suggestions. She suspects that UNIS is a model system for studying CUREs, and hopes to discuss what aspects of course-based research are associated with positive impacts overall. Et av de viktigste budskapene i Kvalitetsmeldingen er at utdanning og undervisning skal få høyere status ved universitetene og høyskolene. Merittering er et av forslagene som skal bidra til dette. Dette innebærer å belønne og la utdanningsoppgaver telle mer ved ansettelser og opprykk. NOKUT har lenge vært positive til merittering, og flere institusjoner har allerede sett på systemer for å merittere og belønne de gode underviserne. Hvilke virkemidler tas i bruk i de ulike forslagene? Hva skal til for at dette skal fungere? Hvilke styrker og svakheter har ordningene, og hva skal til for å få til en nasjonal ordning? Reidar Lyng, førsteamanuensis Universitetspedagogikk Norges teknisk-naturvitenskapelige universitet (NTNU). Medlem i arbeidsgruppen som har lagt frem forslag til meritteringssystem ved NTNU og UiT. Iver Bragelien, førsteamanuensis, Institutt for foretaksøkonomi, Norges Handelshøyskole. Ekspert på økonomisk styring, motivasjon og økonomiske insentiver. Frokosten blir strømmet på nettsidene til NOKUT. Welcome to FØH (Fisheries Ecology and Aquaculture) Journal Club, which this month will focus on the recent special issue in American Fisheries Society journal Fisheries, where they review where the future of education in this field. The purpose is to reflect on some of the perspectives in this special issue and discuss these points in light of our own teaching. This jounal club meeting is arranged in collaboration with bioCEED. We’re in the digital age, if it’s not online it doesn’t exist. The applications of social media beyond the social scene are evident for those using any one of the numerous sites to network. Although, keeping up with recent trends and the norms of online communication become more and more difficult, increasing the risk of ending up as a “technological fossil“. From an educational standpoint, it is no longer good enough to provide lectures and post content on the student-web. Social media provide unique ways to interact and share content with students that would be considered nontraditional based on “normal” teaching etiquette, but when used right can become an invaluable tool in educator-student interactions. In collaboration with British professors Anson Mackay (UCL) and Jon Tennant (ICL), bioCEED hosted a workshop on the applications of “Social Media in Biology Education” in October 2014, discussing a wide range of topics including the potential of different social media in courses and course teaching, alternative evaluation methods and how you as an educator can approach the social media world without getting overwhelmed from the start. Below is a summary from Anson and Jon’s presentations and from the discussion that followed. It’s not as hard as you would think! Meet shy students by allowing them to “tweet you their question” and answer after the break. Create a Facebook group for your course, allowing easy communication with students and allows easy sharing of curriculum relevant material (but consider #4). Introduce blogging as a more dynamic form of coursework. It encourages active students and interactivity between students, lecturers and the outside world. Start your own research blog, allowing you to create a bigger impact and engage a wider audience. Thanks to Anson Mackay, Jon Tennant, Torstein Hole and those attending the workshop for contributing notes and thoughts that this post is based on. Roy Andersson from the Faculty of Engineering (LTH) at the University of Lund, Sweden visited bioCEED in March 2015 to talk about evaluation and quality development. In addition to being a lecturer at LTH, Roy is heavily involved at the Academic Development Unit (Genombrottet) at LTH. Watch Roy’s talk here: Systematisk utvikling og evaluering av undervisning. Download his Powerpoint presentation here (pdf). Silje Mæland er førsteamanuensis i fysioterapiutdanningen ved Høgskolen i Bergen og forsker ved Uni Research. Inspirert av internasjonalt samarbeid, har Silje utmerket seg ved å introdusere studentaktive læringsformer (team based learning) i sin undervisning. Dette er arbeidsformer som studentene mener gir dem større utbytte av undervisningen. Silje vant for prisen for fremragende undervisning ved Høgskolen i 2014. 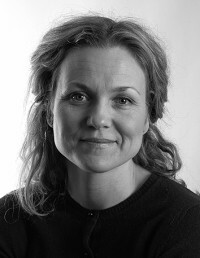 Silje holdt innlegg i bioCEEDs seminarserie i januar 2014 som kan sees her.